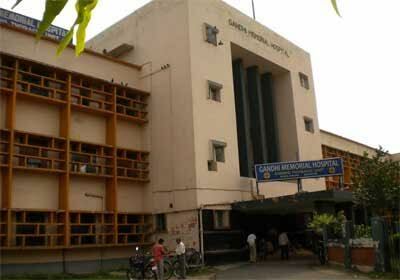 Kalyani: In a close shave 11 patients were evacuated from ICU at state-run Gandhi Memorial Hospital in Nadia district tonight after smoke was billowing out of the ICU for heart patients. A top hospital official said no sonner than the black smoke was detected around 9:10 pm, the patients were swiftly taken to the nearby ward from the ICU with full medical support and hospital staff broke open the ceiling to detect the source. A fire tender also rushed to the hospital, which is under Kalyani Medical College, and dismantled the ceiling to nip the smoke. The smoke could have been caused by the AC, the official said adding the 11 patients were okay. Kalyani Medical College Superintendent Dr Subikash Biswas said the cause of the smoke was being investigated but the response was timely and prompt. Municipalty Chairman and police officers were now at the spot. There had been at least seven incidents of fire in government-run hospitals in West Bengal in 2016 alone, including one in the super-speciality SSKM in November 22.